Today we offer you to come with us to the amazing and picturesque African country of Cabo Verde, where the ocean is everywhere, and every tourist willy-nilly becomes a seafood addict. 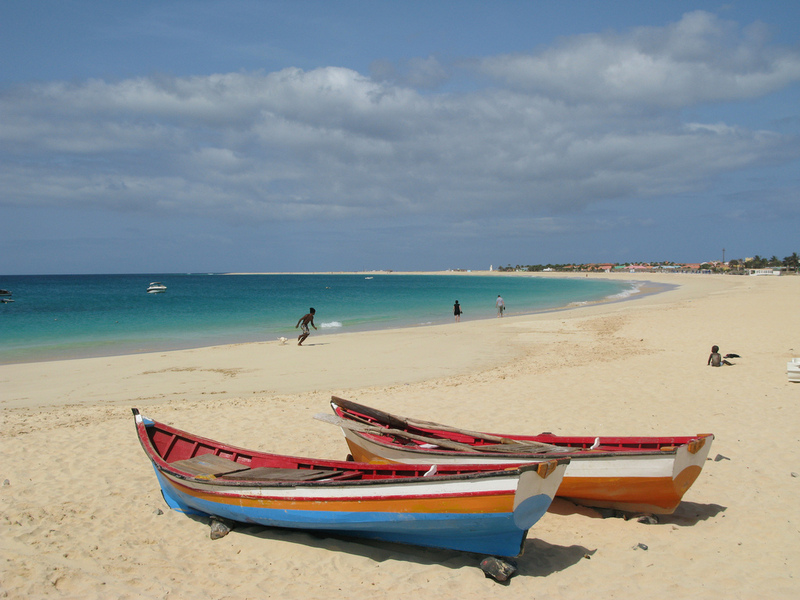 Cabo Verde is an archipelago of 18 islands located in the Atlantic Ocean, off the Senegal coast. They are home to half a million of the state's population; in the middle of the last century Cabo Verde gained independence from Portugal, which is reminiscent of everything: architecture, language, traffic signs and cobblestones. Therefore, looking at the streets of local towns it is difficult to say with certainty whether it is Africa or Southern Europe. Moreover, the standard of living is higher even than in some countries of the Old World. In many respects this is due to tourism development, which annually brings to the treasury at least USD50-60 million, which is very impressive for 500 thousand inhabitants. Eventually, Cabo Verde, which is translated as a "green cape", in the 1970s was almost the key investment target for developed countries that wanted to build their vacation paradise in the heart of the world. Almost all the funds were invested in the construction of hotels, international airports and the modernization of infrastructure. Unfortunately, the local ecosystem was significantly damaged by Western infusion and African not always judicious construction. Today the forests are only 12-14% of the territory, and the soil is not so fertile. However, these features along with a huge amount of volcanic landscape add some Martian-like charm to the archipelago. Due to the geographical aspect, the islands of Cabo Verde are linked only by air and water, which affects the relationship between the locals. Thank God, they do not fight and do not conflict, but the internal competition for customers is held all year round - such thing as "season" does not exist at all. The capital and largest city of Praia is a must-see there one can savour the post-colonial flavour. The Portuguese in their own way built almost all the attractions there. Modern central part looks so organically with the suburb of Cidade Velha, which is considered "old", that sometimes could not help thinking how the architects of the 15th and the 20th centuries were able to reach a consensus? This blend of epochs and architectures is located on the island of Santiago. As for the swimming and sunbathing, even though Praia is translated as a "beach", it is advisable to have rest in other parts of the land. For instance, in the island of Sal. Bereft of high buildings, it is perceived as one solid beach merging with the ocean and sky. Locals say that here 350 sunny days a year, and it is a real fact, not just a phrase from a tourist brochure. Coral reefs and gentle waves are bliss for diving and surfing enthusiasts from around the world. The most favourable for these activities the ocean is from April to November, but this is a side note for professionals, beginners can explore the underwater depths and saddle the waves at any season. In addition, Sal is credited for being a gourmet capital of the country. The town market of Santa Maria is one big delicacy, since nothing can be better than freshest seafood and bizarre fruits and vegetables. Dishes of shrimp and clams, papaya pudding, sweet potatoes jam, cane grogs and liqueurs, coconut cheesecake - all those specialties are not just yummy, but also quite cheap: for a family can have a decent dinner EUR30-50. While Santiago is a business centre and Sal is a touristic getaway, the island of São Vicente is a cultural hub. Its native Cesária Évora is a world-famous singer. During a trip through Cabo Verde it seems that the music constantly sounds from four winds, in this very island this feeling amplifies many times. It so happened that the archipelago principal festivals, concerts and carnivals held in the local town of Mindelo. This custom origins from the pirate era - gentlemen of fortune loved and knew how to relax, so having chosen this island, they wrapped it with appropriate atmosphere that has been preserved to this day. In addition to hundreds of bars, dance halls and cafes, eyes may relax gazing at the Tower of Bethlehem, a replica of the one from Lisbon, the Presidential Palace, City Hall and Parliament - all these are real masterpieces of architecture. If you are a fan of defensive and gloomy buildings, then be sure to take a tour of the fort Fortim d'El Rei, which used to be the main Portuguese colonial prison. Another attraction is Gaudi restaurant featuring French cuisine with African twist. Even Sal residents recognize the dignity of this institution. Well, of course, we cannot pass by the most troubled island - Fogo, named after the eponymous volcano located there. And that is a reason to call it troubled - after a while this giant recalls about its existence with eruptions of varying strength. The most large-scale eruption happened back in the 17th century, and the latest - in November 2014. However, local inhabitants are brave enough to treat such nature whims calmly and even sometimes they have to be evacuated by force. For tourists, enthusiasts of mountain climbing, Fogo may be the culmination of a trip to Cabo Verde, because climbing up takes breath away, and a feeling that the volcano is alive and can begin to misbehave at any time, adds adrenaline to blood. 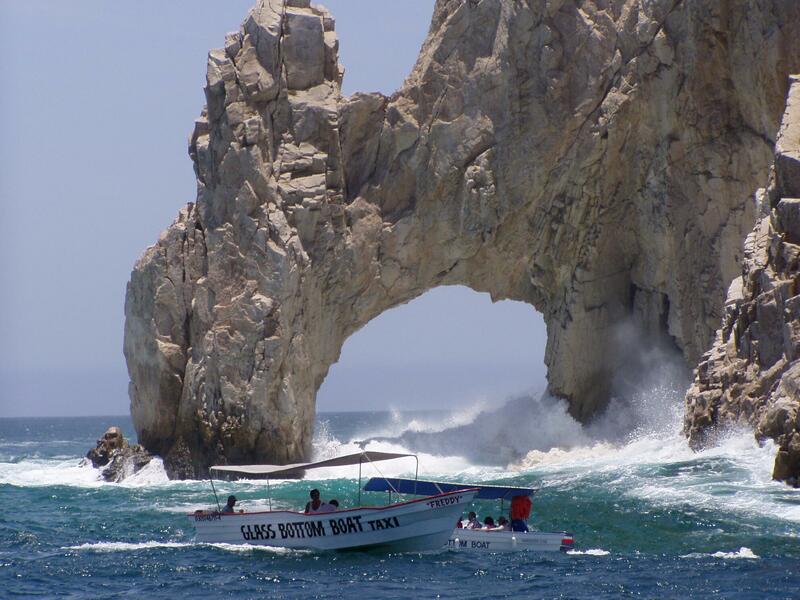 Therefore, after the climbing down it is better to overnight and relax in the cosy fishing village of Salinas, drink fine wine with fish dishes, thus rewarding yourself for the conquest of more than two kilometres. 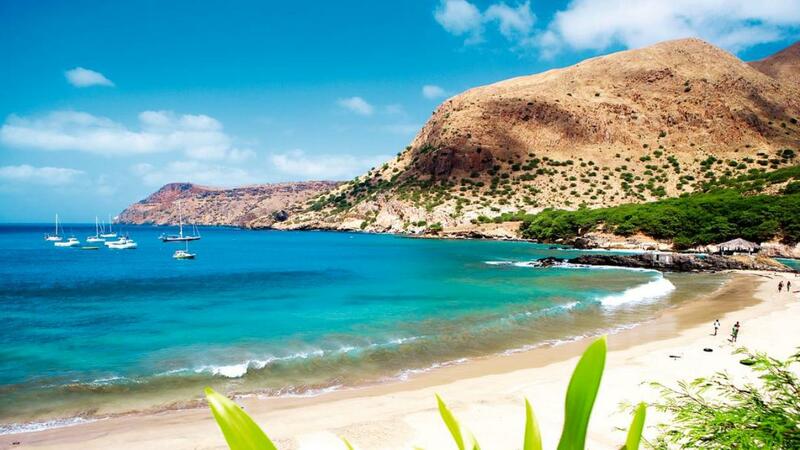 -The visa for Cabo Verde may be obtained on arrival, it costs USD50. - In all the islands municipal transport is operating very badly, so the best way to get around is private buses. A trip for one person will cost USD1-1.5. - Amazing National Centre for crafts works in Mindelo, where you can buy zesty souvenirs for friends - crafts from turtle shells, coconut products and CDs with unique music of local performers. - Beware of pickpockets: tourists do not leave the archipelago throughout the year, and local swindlers have stealing as their regular income. - The sun does not spare anyone, especially white-skinned Europeans, so a protective cream is never too much.